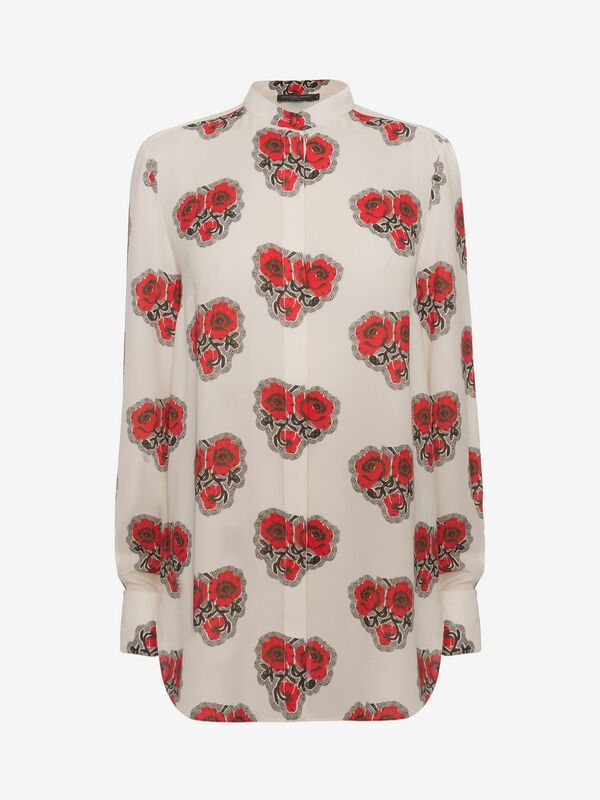 In October 2016, the Duchess of Cambridge (Kate Middleton) wore her Alexander McQueen poppy print to two different receptions on the same day. The first was at Buckingham Palace. It honoured athletes from Team GB and ParalympicsGB who’d competed in Rio 2016. The second reception took place at Kensington Palace. 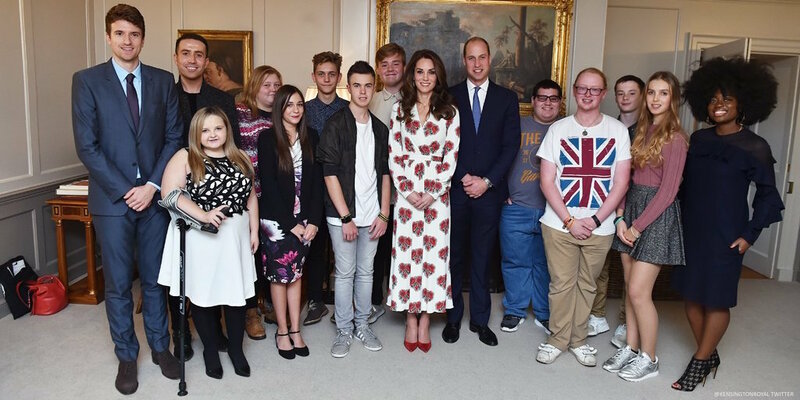 William and Kate met with BBC Radio 1’s Teen Heroes. The ivory-coloured dress features an ankle length skirt, a waistband, full length sleeves with buttoned cuffs and a crossover front. It is decorated with poppy motif. At the time of writing, the dress is not available to purchase. 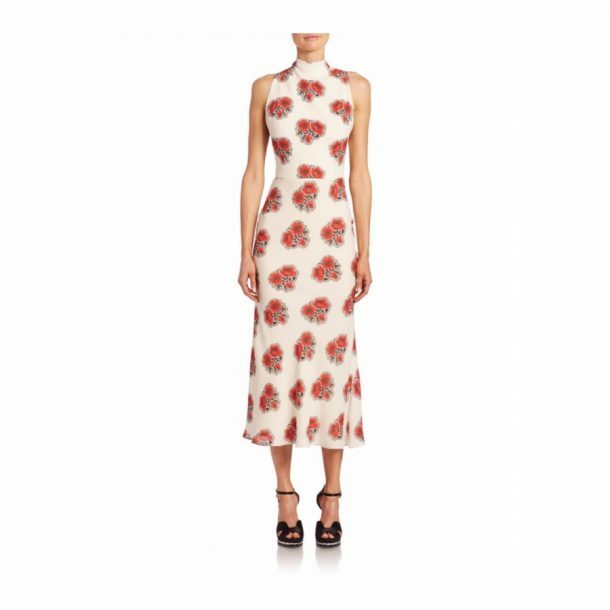 Saks Fifth Avenue do have a similar Alexander McQueen dress listed on their website. It is currently available for preorder. The dress described as a ‘silk open-back midi dress’. 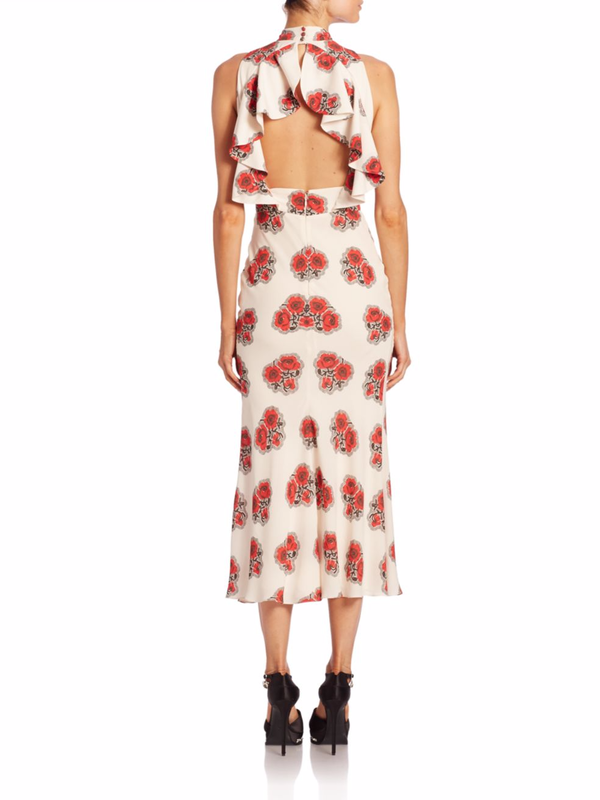 It features the same poppy print and a similar flared skirt. Alexander McQueen is one of Kate’s go-to labels. The Duchess has worn dozens of dresses by the designer. 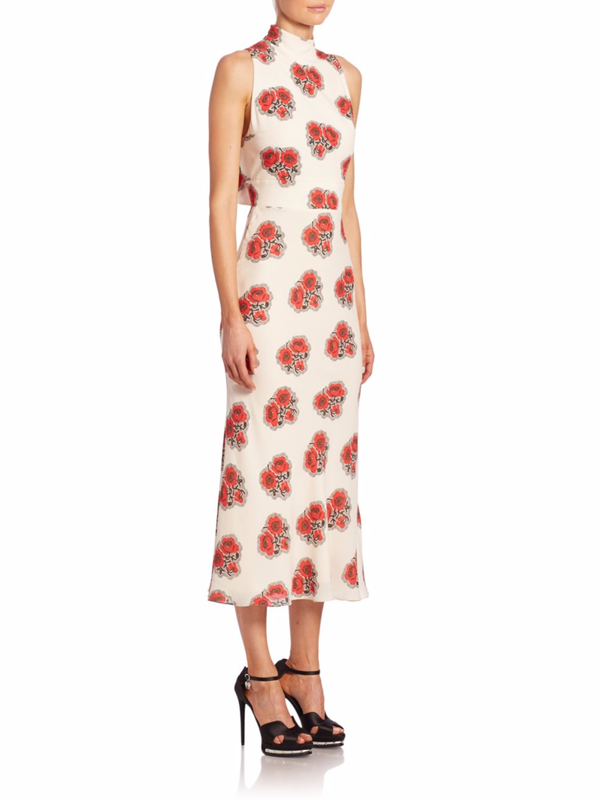 Most recently, she chose a red and white dress for a visit to Vancouver in Canada. 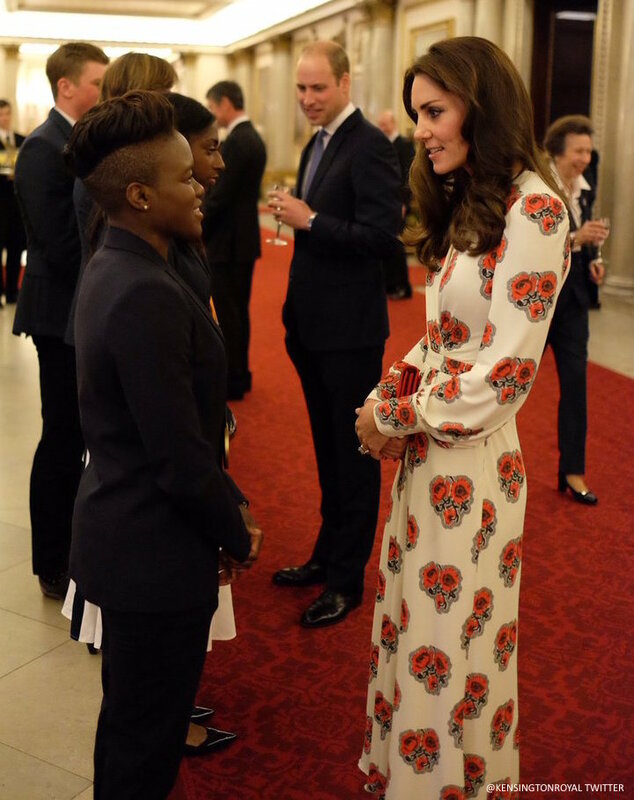 You can view more of Kate Middleton’s dresses by clicking here.